There were three Aggies; one crane operator, one pole climber, one guide. The guide tied the crane to the end of a pole. This went on several times when the foreman came over and asked why they couldn't measure the poles while they were laying on the ground? 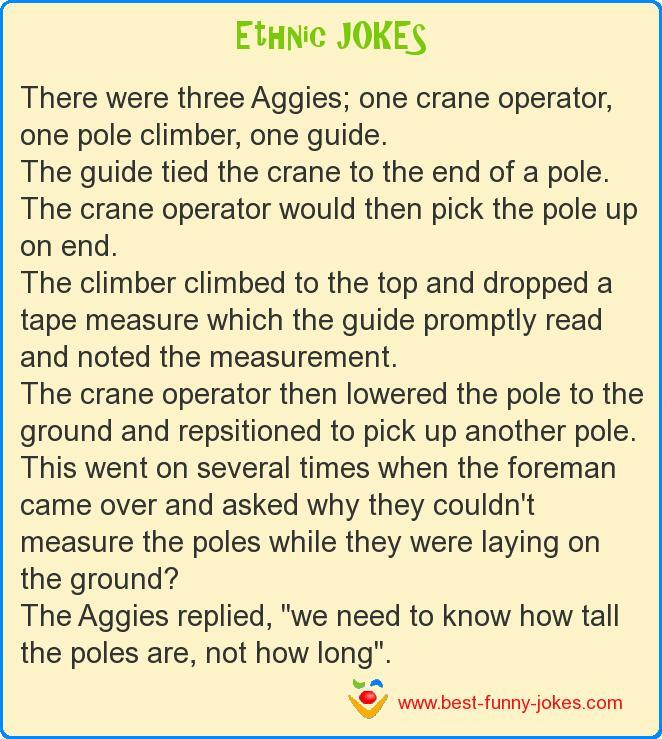 The Aggies replied, "we need to know how tall the poles are, not how long".